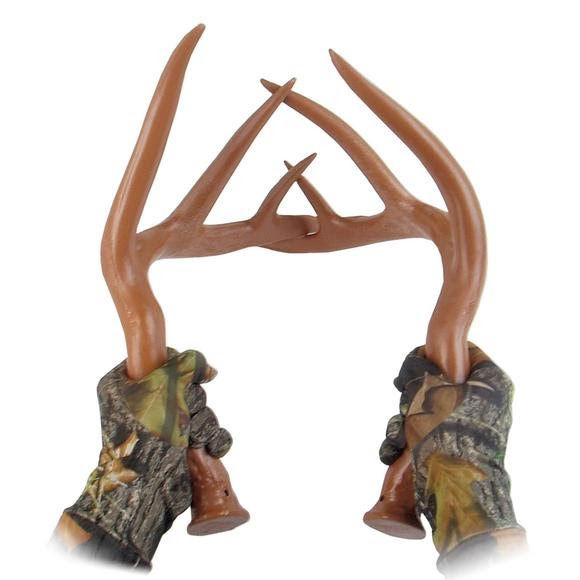 Primos Fightng Horns are made with high tech polymer to deliver the same consistency and structure as real antlers. The 14 contact points reproduces buck-fighting sounds from a light spar to an extra loud fight. The extended handle design gives hunters room to rattle without injuring their hands.